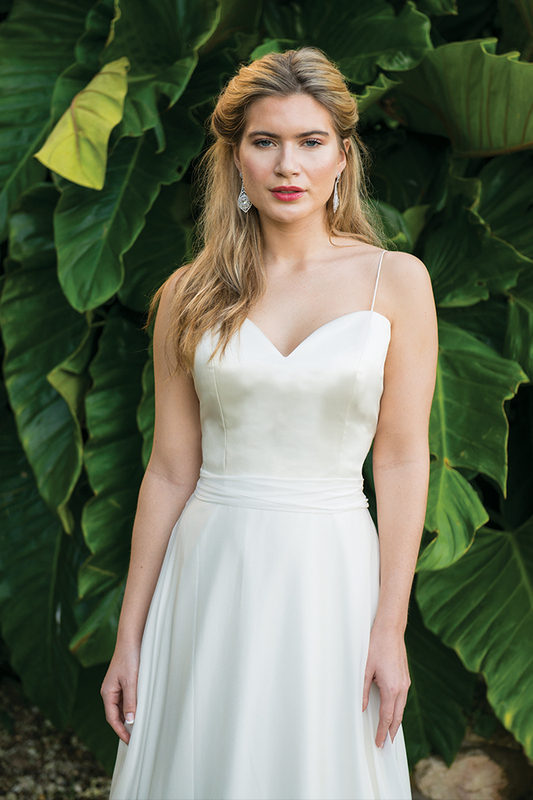 Pure Grace is a simply stunning and elegant bridal gown. The silk satin bodice with spaghetti straps offers a chic and alluring look whilst the soft skirt is both romantic and contemporary. Reminiscent of the red carpet elegance of Hollywood screen sirens such as Lauren Bacall and Grace Kelly.